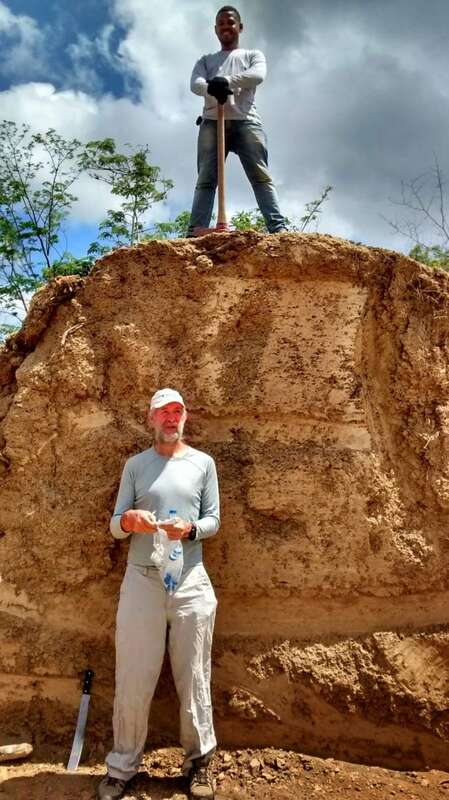 Researchers have discovered a network of 4,000-year-old termite mounds in Brazil that are so big, they can be seen from space. We hear all about the discovery, and how the much-maligned termite could teach humans a lot about biofuels and even robotics. 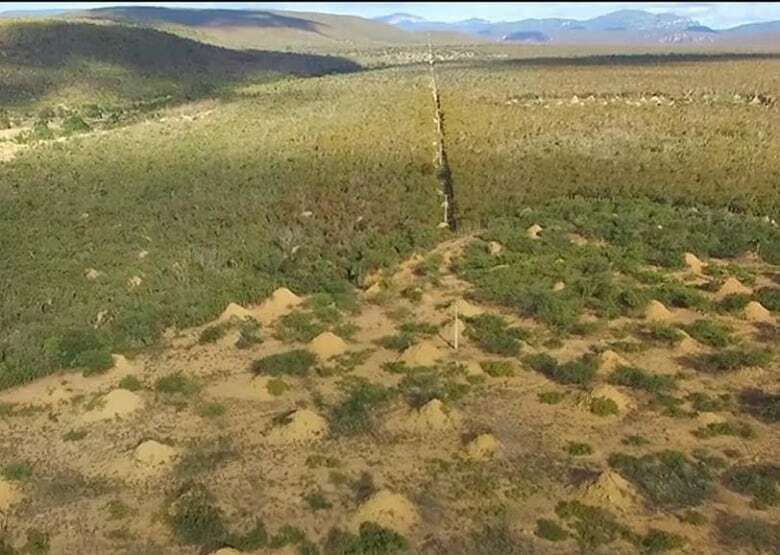 The discovery of an enormous network of more than 200 million termite mounds, some of them about 4,000 years old, is like finding an "undiscovered wonder of the world," according to the lead researcher with the team that found it. "The first time I was there, it's just unbelievable. You just cannot believe what you're looking at," said Stephen Martin, a social entomologist and professor at Salford University in the U.K. The mounds were discovered in a remote forest in northeastern Brazil, stretching across an area the size of Great Britain. They can be seen from space. They're all roughly 10 feet high, 20 feet wide at the base and spaced at 30 or 40 foot intervals. Martin first noticed the mounds in 2004, while he was researching the decline of honey bees in the region. His team published the findings of their four-year study Monday in the scientific journal Current Biology. "What's strange is they're really regularly spaced, as if there was a grand plan," Martin told The Current's guest host Laura Lynch. Each mound of soil contains a single vertical shaft that allows termites to move between the surface and the underground network of tunnels. As Martin's team began to excavate these tunnels, they found several "galleries" filled with stockpiles of dried leaves or young, baby termites in the process of being reared. The region's rainy season only lasts about one month out of the year, so the termites need to gather as much vegetation and other food as possible in that short period. Martin thinks the termites were able to build such an enormous network because of the remoteness of the region. The climate and soil make it difficult to grow crops there, he said, which kept humans away and allowed the insects to persist. "They're actually the oldest living structures … made by insects and actually still occupied today, around about 4,000 years." Similar mounds have been found in South Africa and North America, he added, but only in fossilized form. This network, however, is still inhabited, which gave Martin's team the chance to study how these structures are built, and how the termites manage to create such intricate patterns across huge areas. What can humans learn from termites? 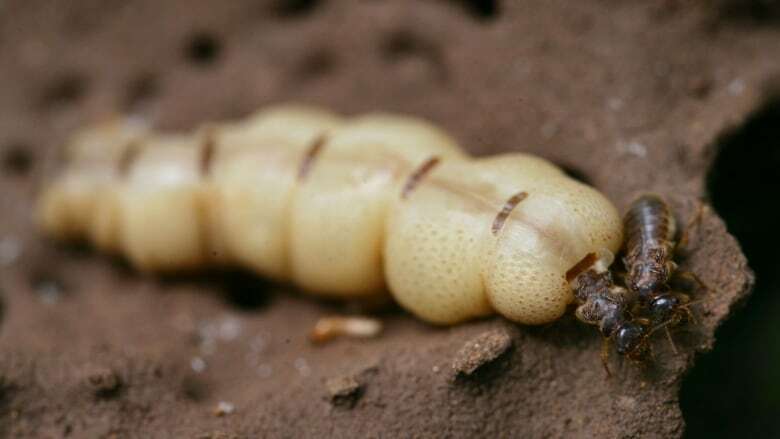 Most people might think of wood-chomping termites merely as architects of destruction. According to science journalist Lisa Margonell, most termite research was predominantly funded by extermination companies until about 10 years ago. Today, scientists are intrigued by termites' dirt mounds, and how they build them. 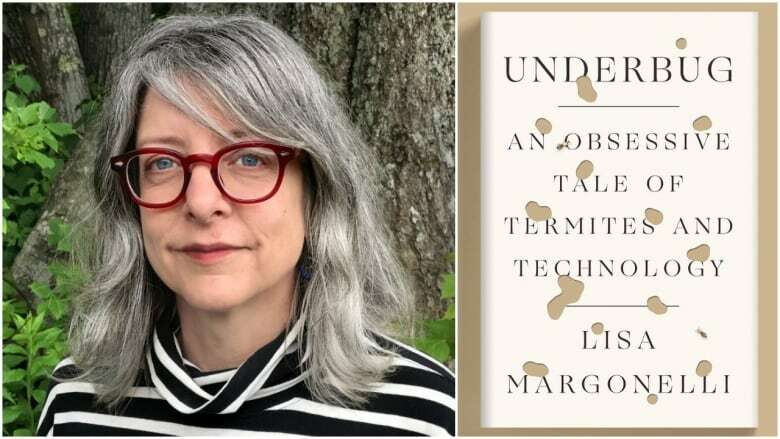 When termites build, "the individual termite receives little signals from the other termites," said Margonelli, author of Underbug: An Obsessive Tale of Termites and Technology. "It puts a ball of dirt down, and then when 100 million other balls of dirt are down, you suddenly have a mound." Robotics experts are interested in that "leaderless collaboration," she said, and whether it could be a model for programming robots that can build entire buildings without any human oversight. According to Margonelli, the mounds also appear to act as a sort of climate control for the network. Engineers might be able to learn lessons from these mounds, which form a kind of passive ventilation system. "There are lots of different kinds of termite mounds. Some of them actually keep the termites cool during the day, and a little bit warmer at night," she explained. "There's a lot to love about the termites, I think," she told Lynch. Written by Padraig Moran. Produced by The Current's Alison Masemann, Danielle Carr and Cameron Perrier. Should western museums return artifacts looted from former African colonies?